Ike just isn’t himself lately and he and Kyle are growing apart. Kyle goes to the guidance councilor for advice but Mr. Mackey is too busy dealing with the bugs in the school’s new integrated technology system to help. Kyle decides to take Ike to a live performance of his favorite show; Yo Gabba Gabba. He hopes it’ll make his little brother like him again. "I'm ready bro. Come on Kyle, kick the baby…"
"But Foofa man... I'll bet she's got some sweet strange." "Terry, I'm your Fwiend. And I'm not just your Fwiend, I'm also your Buddy." Foofa (from "Yo Gabba Gabba") parodies Miley Cyrus' twerking performance on the 2013 MTV Music Awards. 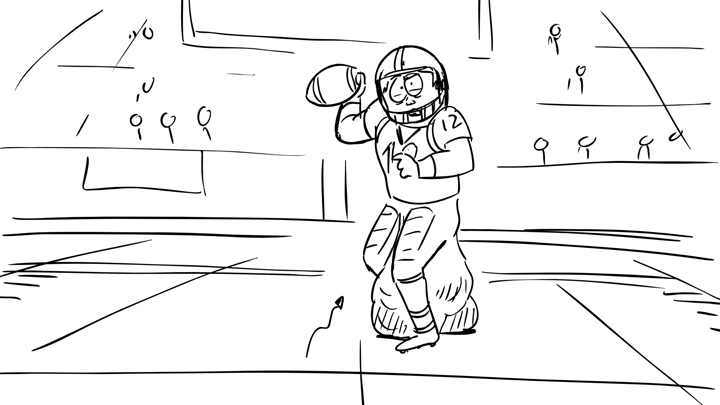 Tom Brady is also shown here, defecating on field during a football game. Sinéad O'Connor reached out to Miley Cyrus in response to Cyrus' Rolling Stone cover story, hence why she's parodied here. Mr. Mackey and Tom Brady are both shown "Bradying". The rocking tune playing on the cafeteria is "The Heat Is On" by Glenn Frey, made famous by the soundtrack to "Beverly Hills Cop". There is a pretty spot-on parody of Miley Cyrus' recent escapades in the news, right down to Foofa's twerking pose in this episode. Lionel Richie's hit single "All Night Long" plays in the beginning of the episode, when Mr. Mackey is using Intellilink. His music pops up several times in this episode. The kids' show "Yo Gabba Gabba" (as well as "Dora The Explorer") is featured in this episode. 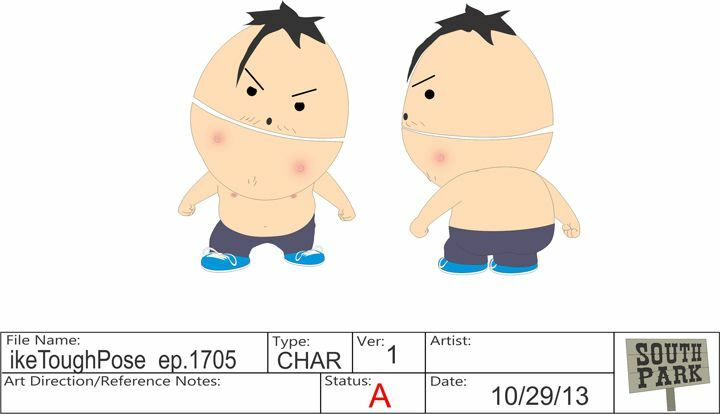 On the 1st draft this episode was originally called "Ike Gets Older". It became “Taming Strange” on the 2nd draft. 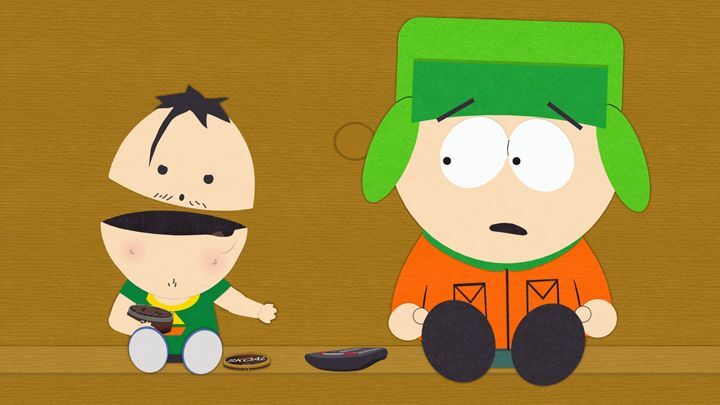 The character that sits with the Canadian Puberty Film Host is known at South Park as "Fancy Fwiend". He's a huge favorite in the Writer's Room. Why "Yo Gabba Gabba"? All the male writers now have kids. Their kids love "Yo Gabba Gabba", so they're forced to watch it all the time. The Intellilink storyline parodied the current situation with Obamacare. Also, Crestron Home Technology Systems — Matt and Trey hate them. From the writers: "There's lots of storylines in this episode...which is unusual for us. Haven't done many episodes like this since the early seasons." Matt does the voice of this bro'd out version of Ike. Ike's voice is normally done by a staff member's kid. The writers talked about having Ike continue speaking like a grown kid permanently. But the little kid voice wins them over every time. 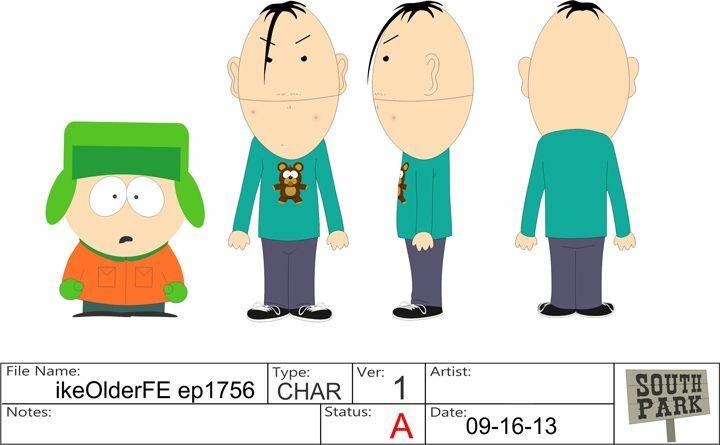 Prior to production, the writers toyed w/ the idea of making Ike look bigger, like a pubescent teenager. 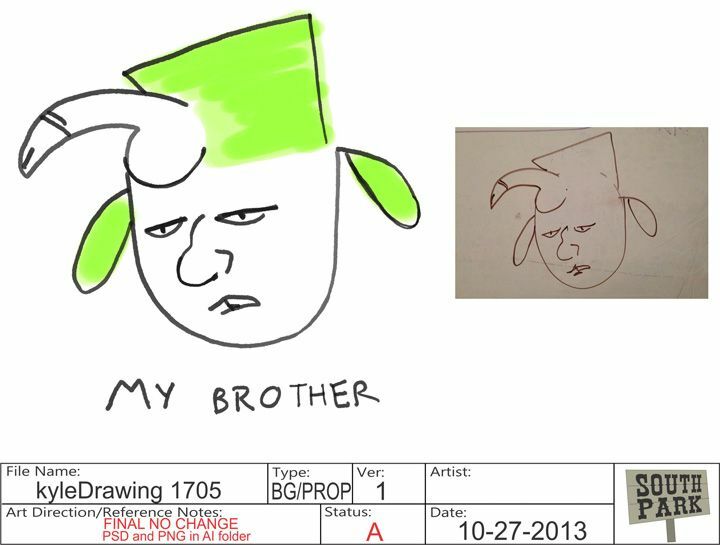 This image of Kyle with a shlong on his head was actually based off on an original sketch by Trey (shown above, on the right). 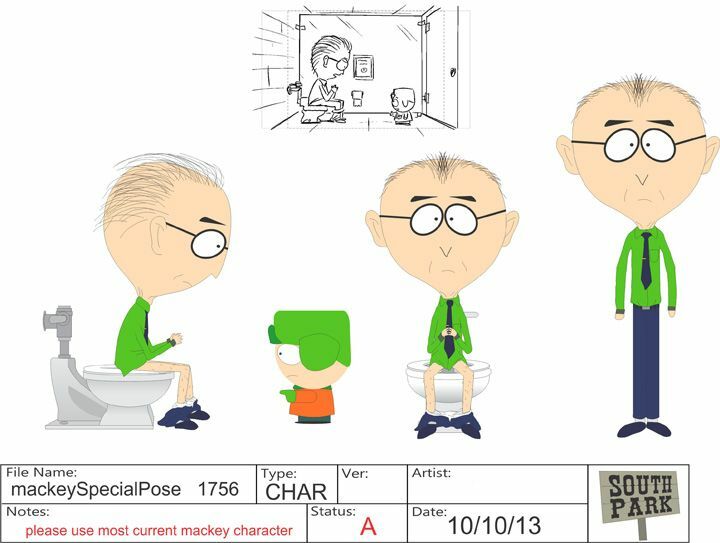 Mackey's counseling lesson on the toilet required a special pose. It was worth it. 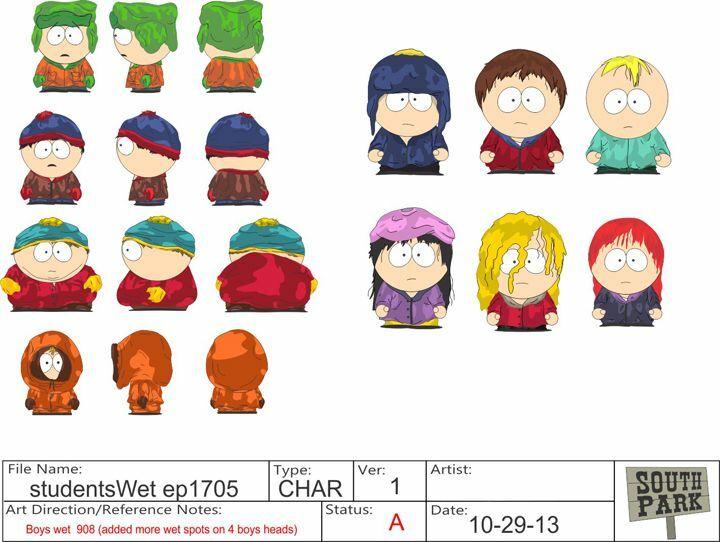 Check out this behind the scenes Corel used while designing Foofa's special outfit and twerking pose. Foofa's outfit went through several rounds of changes, like adding lights to arrows around her strange. For the first time ever, we learn here that the kids are in Fourth Grade, Classroom 7. 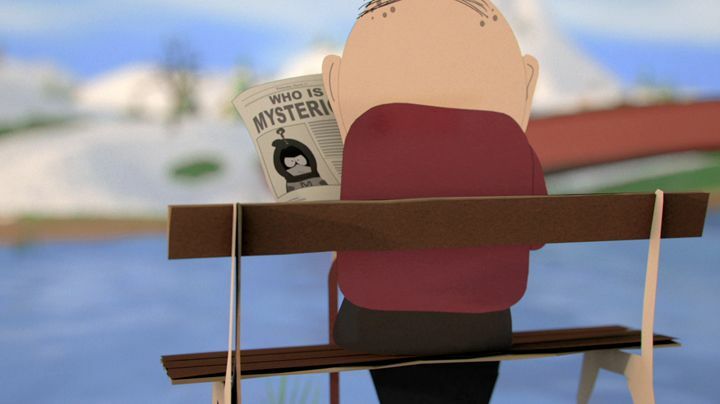 Yep, that's Grandpa Marsh reading an article about Mysterion. The last time we saw a performance at the MTV Video Music Awards, it was during in "Britney's New Look"